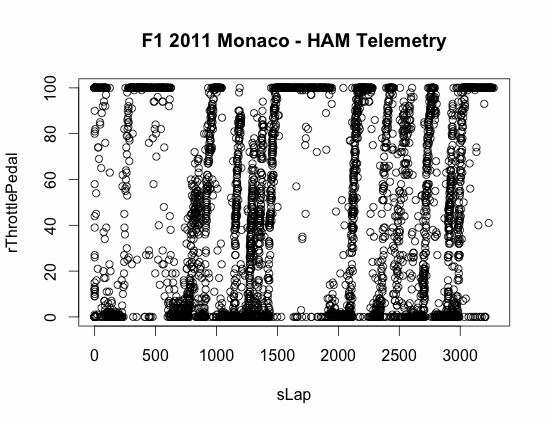 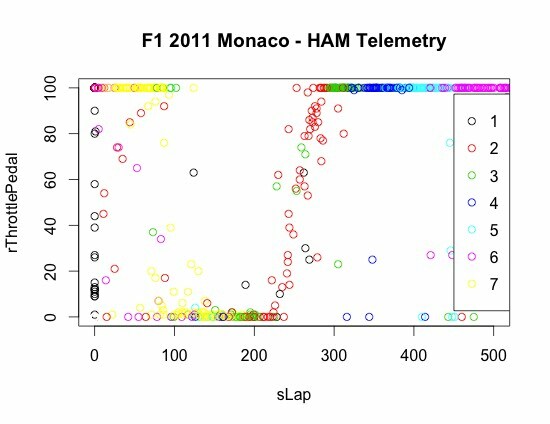 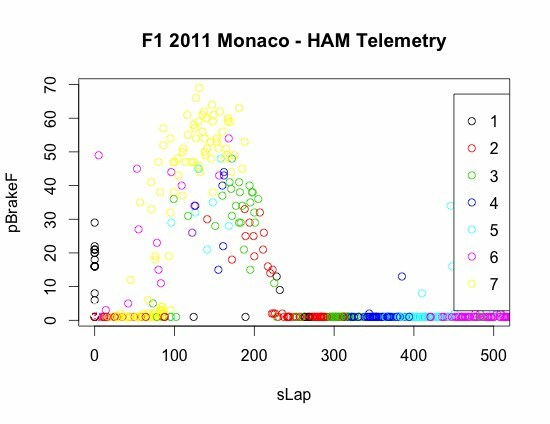 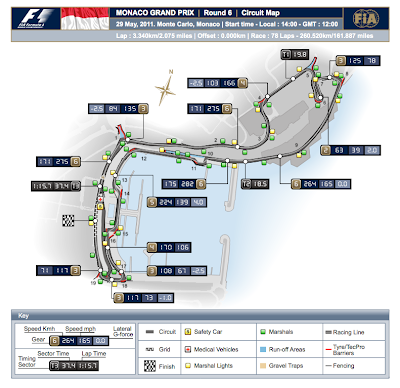 Following on from F1 2011 Monaco Race - Hamilton's "G-Force" Experience, where I used a capture of the Mclaren F1 live streamed telemetry data to show some basic charts capturing Hamilton;s view of the race, I thought it might be worthwhile seeing what sorts of chart might help us get a feel for the race from the circuit's perspective. 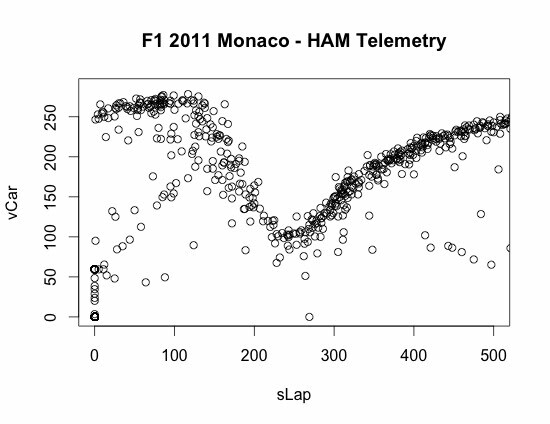 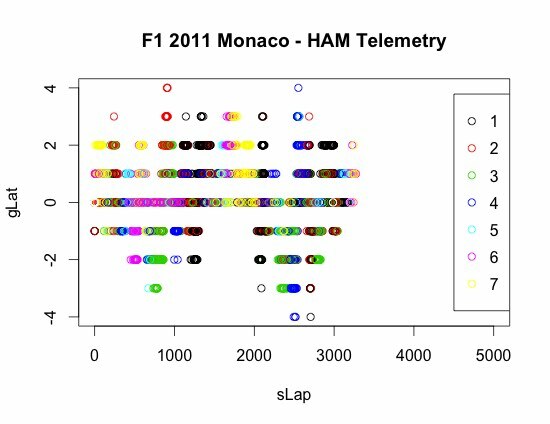 Ideally, this would be based on the use of GPS data, but that was a bit ropey from Monaco so we'll have to settle with an abstraction of the circuit - the distance round the track (the sLap telemtry measure), and see what we can learn from that. 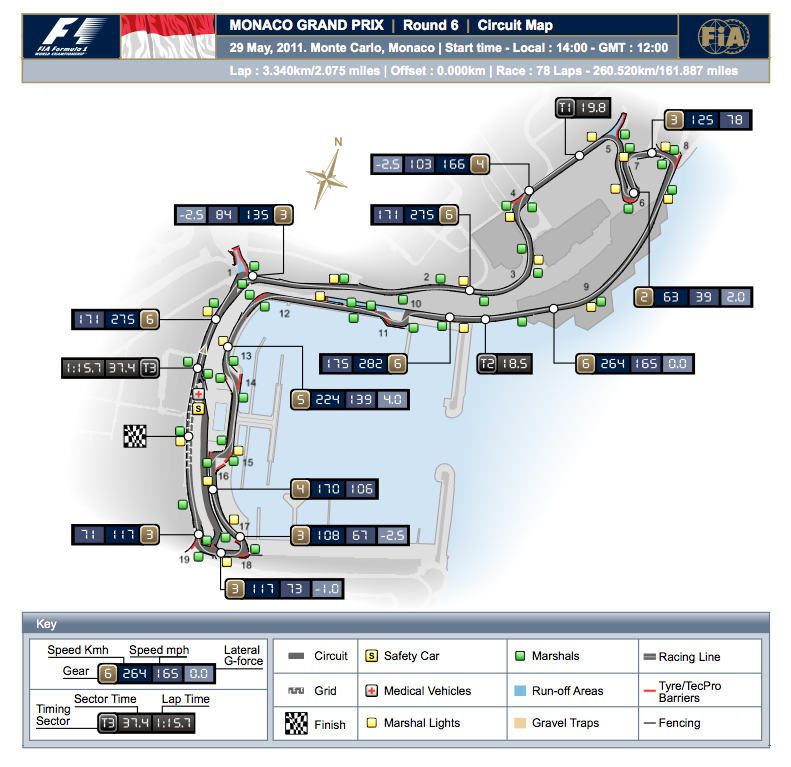 So - how does a tour of the circuit look when we "linearise" it? 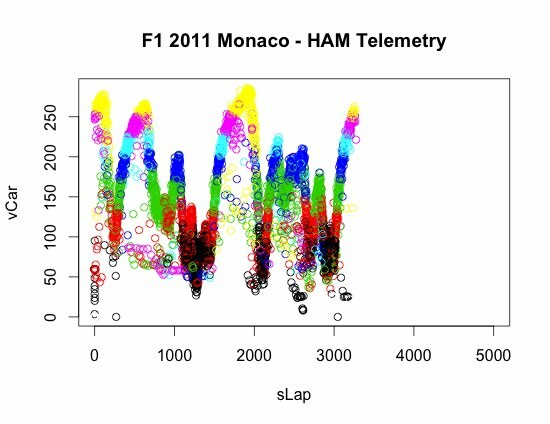 How does all this translate in to speed? 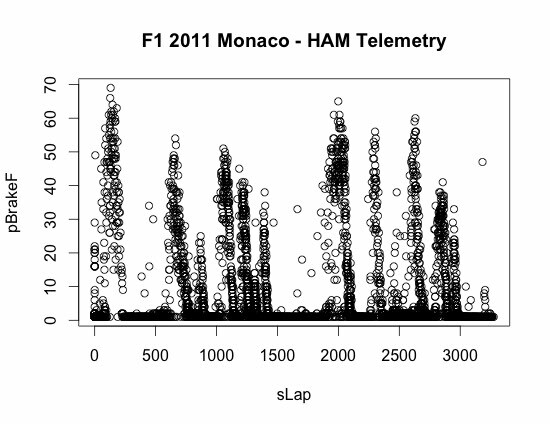 Here's the car speed round the circuit? 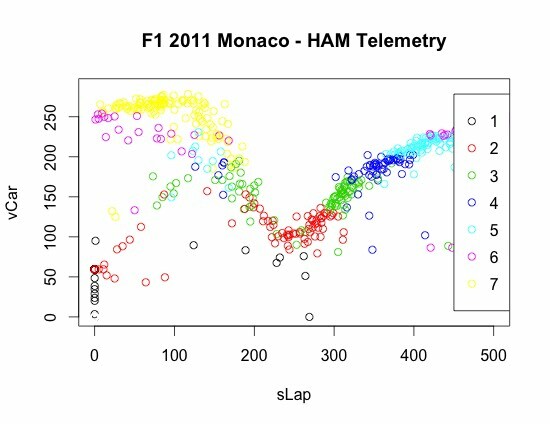 Is there anything of interest in the gLat plot, as coloured by gear? 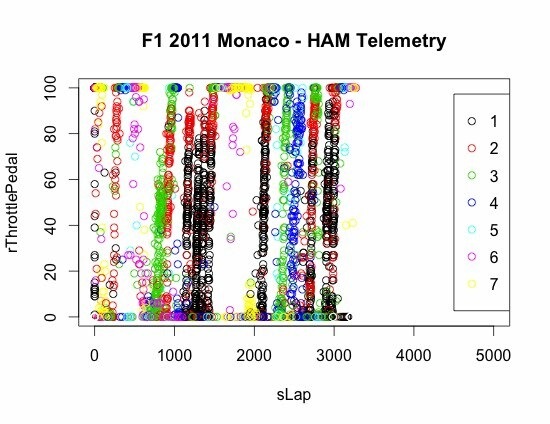 So - that's a range of charts that are available. 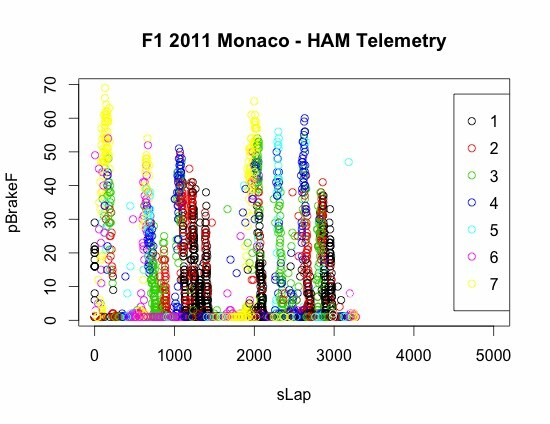 Which do you like (and why?) 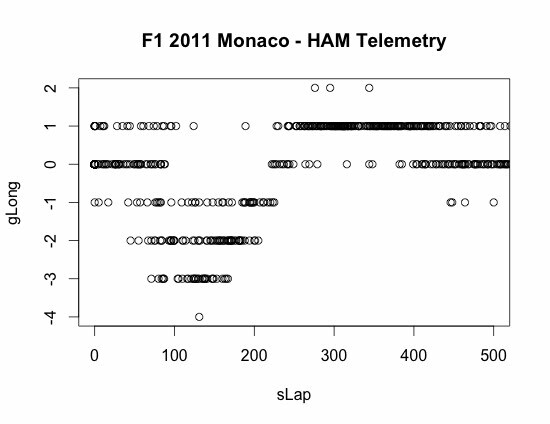 And what sort of commentary might be useful around them? 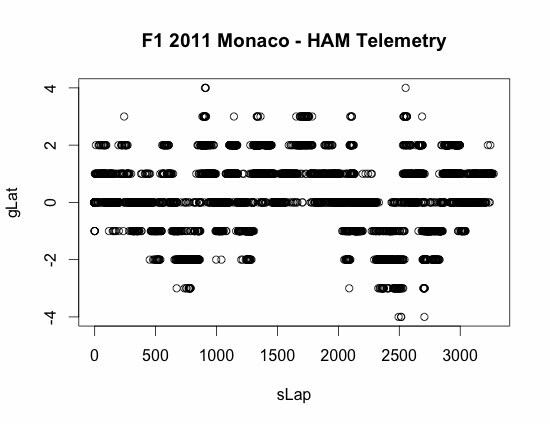 Telemtry data is grabbed from the McLaren F1 Live Dashboard during the race and is Copyright (©) McLaren Marketing Ltd 2011 (I think? 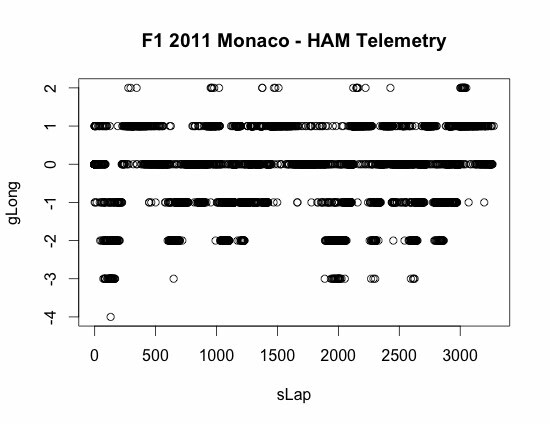 Or possibly Vodafone McLaren Mercedes F1 2011(?)). 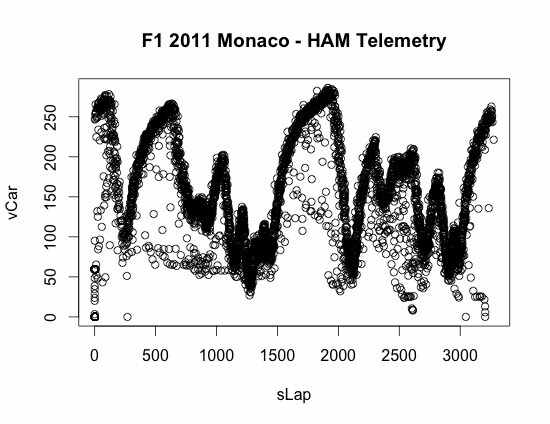 Last year, I think that speed, throttle and brake data were sponsored by Vodafone; I'm not sure how it stands this year. 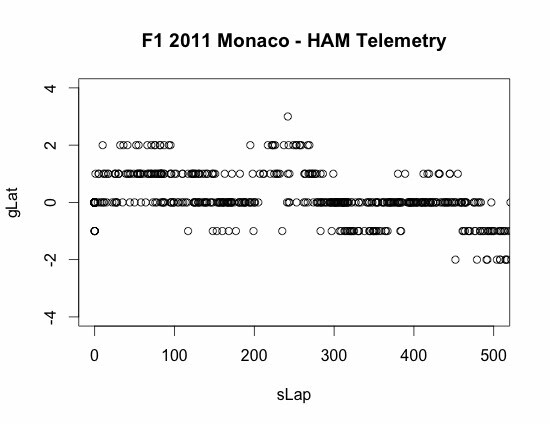 As ever, thanks to @bencc for grabbing the data.